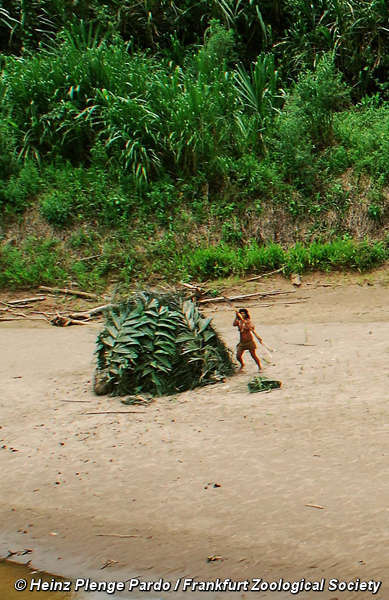 According to Daniel Saba, this photo proves nothing of the uncontacted tribes existence. 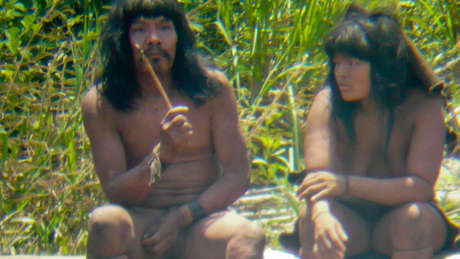 The chairman of Perupetro, the government body responsible for granting oil exploration licences, has said that photos of twenty-one uncontacted Indians taken recently in south-east Peru prove ‘nothing’ of their existence. The photos were taken during a flight, chartered by Peru’s Environment Agency and the Frankfurt Zoological Society, over one of the most remote parts of the Peruvian rainforest. 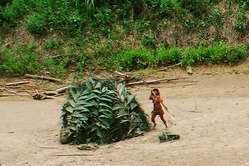 They clearly depict twenty-one uncontacted Indians and were published in the Peruvian newspaper, El Comercio, as well as many other newspapers around the world. Mr Saba’s latest comments came just three days after Peru’s President Garcia questioned the existence of uncontacted tribes in an article in El Comercio. Earlier this year Perupetro spokesperson Cecilia Quiroz also cast doubts on the tribes’ existence, comparing them to the Loch Ness monster. In total, there are an estimated 15 uncontacted tribes in Peru and a vast amount of evidence of their existence has been collected by Survival and other organisations over the years. The Peruvian government is actively permitting and promoting oil and gas exploration in areas they inhabit.